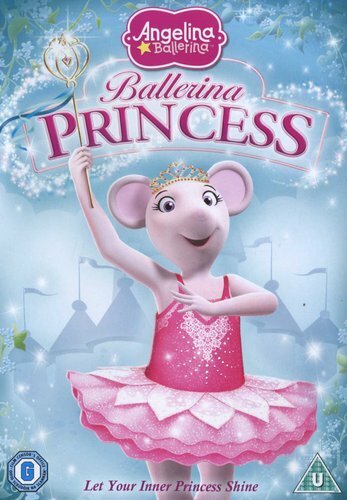 Five more adventures from the children's TV show following Angelina Ballerina, the dancing mouse who dreams of making it big. 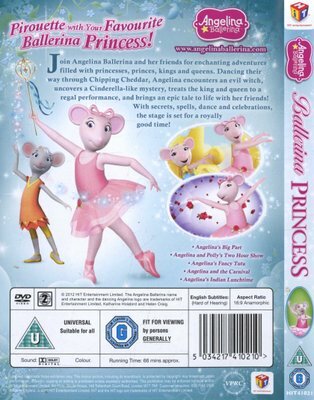 In this instalment, Angelina performs for the king and queen and comes face-to-face with a wicked witch. 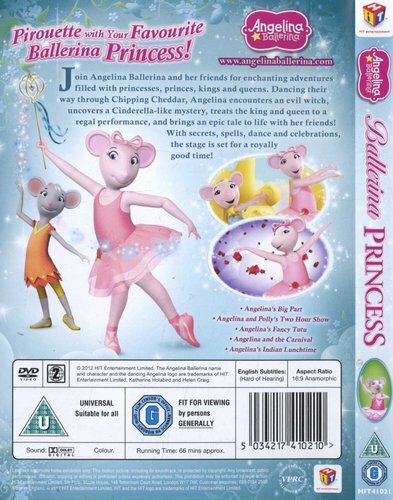 The episodes are: 'Angelina's Big Part', 'Angelina and Polly's Two Hour Show', 'Angelina's Fancy Tutu', 'Angelina and the Carnival' and 'Angelina's Indian Lunchtime'.